SPAR Slovenia has announced its results for 2018, recording company-owned business turnover of €804 million, an increase of 3.6% on the previous year. This growth was the result of ongoing investment into its store network with both new stores and new retail innovations driving sales. SPAR Slovenia operates 88 SPAR Supermarkets and 13 INTERSPAR Hypermarkets and works with independent retailers to grow the brand presence further through 21 independently-run SPAR stores. 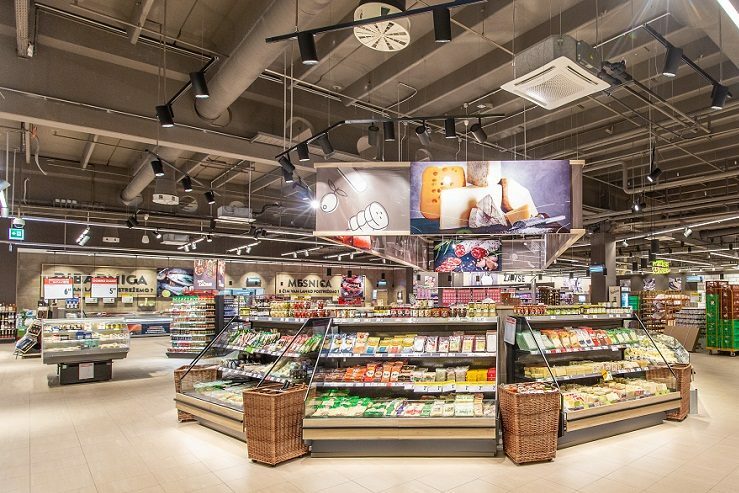 The SPAR Partner invested in the renovation of two stores and a restaurant in 2018, providing the stores, INTERSPAR Vič and SPAR Črnomelj, with a modernised image and offering, accommodating numerous thematically designed departments. In January 2018, SPAR Slovenia launched SPAR Online, offering customers an easy and convenient way to shop with the option of home delivery or collection at a pick up and pay drive-in station. In the first year of operation, more than 20,000 orders were placed, of which 81.4% were home deliveries. SPAR Slovenia adopted or continued several different responsible retailing initiatives in 2018. Amongst others, the SPAR Partner focused on the promotion of healthy eating by reducing the sugar and salt content of its own brand products. An ongoing project, its aim is to reduce 80 tonnes of sugar and 25 tonnes of salt in SPAR Own Brands by 2020. A second focus was its environmental campaign, ‘Think eco-logically’, which included the creation of educational instore communications to raise awareness of the need to reduce plastic waste. As part of the campaign, SPAR Slovenia also organised river clean ups to help restore some of the country’s most polluted rivers. An emphasis was also placed on energy savings at store level, leading to successful certification of the ISO 50001 standard. Part of this project was the introduction of energy-based accounting which records energy sources in all company-owned stores, production facilities, the Distribution Centre and the central office. Finally, in addition to providing financial support for a variety of charitable causes, SPAR Slovenia continued its long-standing sponsorship of the Slovenian national basketball team, supporting both men’s and women’s senior teams and all junior national teams. 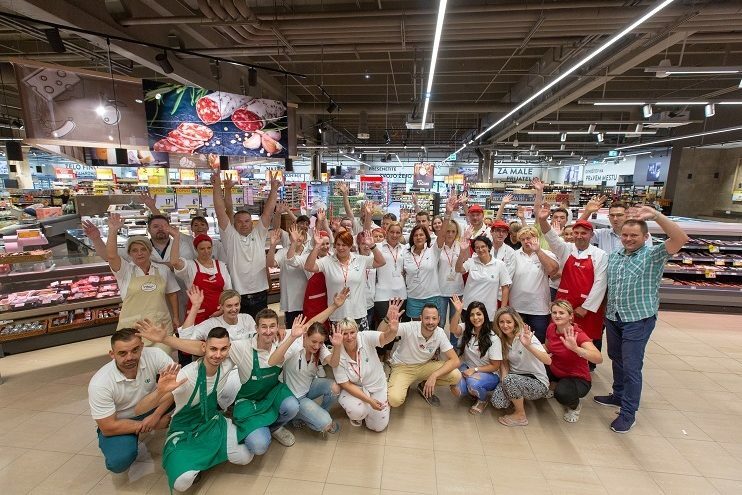 For the third year running, SPAR Slovenia ran its hugely successful Start it Up, Slovenia! campaign, providing promising young entrepreneurs the chance of winning an exclusive contract with SPAR to sell their products instore. The campaign is a huge boost for small and medium enterprises, helping to support local employment. In the eyes of its customers, SPAR Slovenia remains one of the most reputable and trustworthy companies in the country. In 2018, customers again ranked the brand number one for freshness, quality and choice in a national survey of buying habits carried out by the Slovenian Institute for market and media research. Furthermore, in the independent market study, Shoppertrends 2018, conducted by Nielsen Research, customers in Slovenia rated SPAR first in terms of best quality and price ratio – one of the most relevant factors when it comes to purchasing choice. SPAR Slovenia, operated by ASPIAG (Austria SPAR International AG), was founded in 1992. ASPIAG is a subsidiary of SPAR Austria AG and was granted the licence to operate the brand in Slovenia by SPAR International. 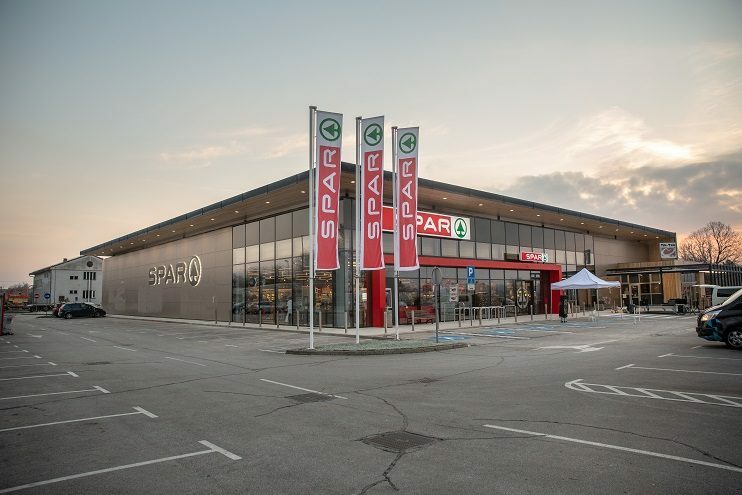 SPAR Slovenia has become a key employer in the country, with a Distribution Centre, bakery and corporate-owned stores providing employment opportunities. The first SPAR store opened in the capital city, Ljubljana, in 1992. Three store formats are operated in Slovenia: SPAR, SPAR Supermarkets and INTERSPAR Hypermarkets. The brand is one of the most trusted companies in the country with Nielson research placing SPAR first in terms of freshness, quality and range. The SPAR Bakery, which has been continually developed, has played a key role in the overall fresh offer and has received great customer feedback.